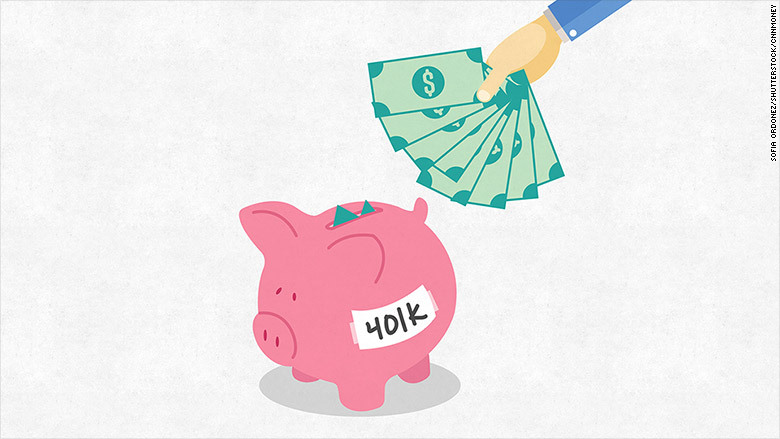 I plan on retiring next year, but I'm unsure how to invest my 401(k) for retirement income. Do I need an annuity? What do you suggest? --F.M. It's not surprising that you're uncertain about what to do. Most of us focus our time and attention on growing our nest egg during our career. By the time retirement draws near, many of us find that we've given little, if any, serious thought to the critical task of turning that nest egg into income we can count on to support us the rest of our lives. As for 401(k) plans specifically, many fail to provide much in the way of meaningful guidance or practical help on this issue. Indeed, a recent Government Accountability Office (GAO) report found that only a third of 401(k)s have any kind of retirement-income withdrawal option and only about a quarter offer an annuity. Which is why whether your savings are in a 401(k), IRA or a combination of retirement accounts, you'll need to develop a viable retirement income plan before you retire.. The first step toward creating such a plan is to get a handle on how much income you'll need once you make the transition from the work-a-day world to retirement. Relying on a rule of thumb that says you'll require between 70% and 80% of your pre-retirement income may be okay for estimating how much you have to save during your working years. But in order to assess how much income you'll really need when the paychecks stop -- and whether the nest egg you've acquired is capable of generating that level of income -- you want to get a more realistic fix on the expenses you'll face after you retire. You can do that by going to BlackRock's Retirement Expense Worksheet. Once you have a decent idea of how much you'll spend in retirement, you should think about how much spending you would like to have covered by Social Security and any other sources of guaranteed income. You can see what size Social Security benefit you'll qualify for based on your earnings record by going to Social Security's Retirement Estimator tool. Remember, your benefit increases roughly 7% to 8% for each year you delay claiming Social Security between age 62 and 70, so you may want to consider waiting to qualify for a bigger Social Security check later on. Financial Engines' Social Security calculator can show you how much you might be able to boost the amount you collect by postponing a few years. If the amount that you'll receive from Social Security and any pensions covers all or most of your essential living expenses in retirement, then you probably don't need any more guaranteed income. You can rely on withdrawals from your savings to cover any essential expenses your guaranteed income doesn't cover, as well as discretionary expenses and any unexpected expenses that may pop up. But if you find that your day-to-day living expenses exceed what you receive from Social Security and any pensions, you may want to consider filling the gap with additional guaranteed income. That is where an annuity might be able to play a role in your retirement income plan. There are many different kinds of annuities that can convert savings to lifetime income. But if you're looking for income that will start as soon as you retire, then consider an immediate annuity. The premise behind this type of annuity is simple. You hand over a lump sum to an insurer and in return you immediately begin receiving monthly payments that will last as long as you do, regardless of how the financial markets perform. Today, for example, a 65-year-old man who invests $100,000 in an immediate annuity would receive about $545 a month for life; a 65-year-old woman would receive about $505. You can see how much income you (or you and a spouse or partner) might receive for life at different ages for different amounts invested by going to this annuity payment calculator. As attractive as the prospect of guaranteed lifetime payments may be, however, you also want to be aware of the drawbacks. Once you purchase an immediate annuity, you no longer have access to those funds. You can't dip into that money for emergencies or unanticipated expenses, nor can you pass it along to heirs. If your 401(k) plan is one of the relatively small percentage of plans that offer an immediate annuity, you may be able to buy the annuity within the plan. Before you do that, though, go to an annuity calculator to make sure your plan's annuity offers a payment that's comparable or better than what you can get elsewhere. If your 401(k) doesn't offer an immediate annuity -- or it's payment isn't competitive -- then you can buy one from an insurer outside the plan. In that case, you'll want to buy the annuity within a rollover IRA and fund it via a direct or trustee-to-trustee transfer from your plan. If you decide to invest some of your savings in an immediate annuity, you'll still be counting on withdrawals from the rest of your savings to fund any expenses that aren't covered by Social Security, any pensions and your annuity payments. And, of course, if you decide against an annuity, then you'll be relying on withdrawals from savings to cover all of your expenses not covered by Social Security and any pensions. Related: How can I grow my retirement savings without too much risk? Either way, you're going to have to come up with a withdrawal plan that will allow you to get the income you need while not running too big a risk of spending down your savings too soon. You can see how long your savings might last at different withdrawal rates by going to this retirement income calculator. What you'll find is if you start out with a relatively modest withdrawal rate -- say, an initial 3% to 4% withdrawal that you then increase by the inflation rate each year -- there's a good chance (roughly 80% or so) that your savings will last 30 or more years. You'll also find that as long as you go with a reasonable withdrawal rate, you should also have lots of latitude in how you invest -- that is, you should be able to find a mix of stocks and bonds that you'll be comfortable with that will also be able to generate adequate returns to support a withdrawal rate of 3% to 4%. For many retirees, a comfortable mix will probably fall somewhere in the range of 30% stocks-70% bonds to 60% stocks-40% bonds, but you can get a decent sense of what asset allocation makes sense for you by completing Vanguard's free risk tolerance-asset allocation questionnaire. What you don't want to do is make the mistake of assuming you can go with a much higher withdrawal rate if you invest more aggressively. Loading up on stocks does have the potential to boost returns, which in turn might support higher levels of withdrawals. But stock-heavy portfolios are also more volatile and prone to larger losses when the stock market tumbles, which means this strategy could also backfire and leave you short on savings late in life. Whatever withdrawal rate and stocks-bonds mix you decide to go with, you want to stay flexible. If your nest egg's balance has declined precipitously because of poor investment returns or because you had to make larger-than-planned withdrawals to meet unanticipated expenses, you may want to cut back on withdrawals to avoid running through your assets too quickly. Conversely, if higher-than-expected returns boost the value of your nest egg substantially, you may want to increase withdrawals to avoid ending up with a large pot of savings late in life along with regrets you didn't spent more freely and enjoy yourself more earlier in retirement. Finally, if you don't think you're up to creating and maintaining a retirement income plan on your own, there are a variety of ways to get help. For example, retirement advice firms like Financial Engines and Guided Choice provide advice on how to invest savings and manage withdrawals. Similarly, web-based investing services like Betterment and Schwab Intelligent Portfolios can help create a portfolio designed to convert savings to retirement income, as can Vanguard's Personal Advisor Services. And there's always the option of working with a financial adviser. One way or another, you want to develop not just an investing strategy but a comprehensive plan to ensure you'll have the income you need for what will likely be a long post-career life -- and you definitely want to do that before you pull the trigger on retirement.